This survey of eminent Victorians in the field of hymn-composition has so far taken us to the Cathedral and the Parish-church of Anglicanism. Here, however, we encounter that weighty if somewhat unreliable influence, the singing Free Church. Gauntlett was, of course, not a Free-Churchman himself. A son of the Vicarage (his father was one of John Newton’s successor’s at Olney), he held four important organist’s posts, of which three were in Anglican churches; but his longest, and from our point of view most important post was that which he held at Union Chapel, Islington in the time of Dr. Henry Allon. Union Chapel is a Congregational church in a quarter of London which the mid-Victorian era found at its zenith. It contained opulence and squalor almost side by side; to-day the district is one of the many which tell of past prosperity with the rather gloomy nostalgia of long rows of houses on three floors and a basement. The church, of course, thrives still and remains a great beacon of Christian witness in a none too cheerful area. But now it is a fighting church whereas in those days it was a comfortable church. Dr. Allon, its minister, seized his opportunities, being unwilling to let prosperity degenerate into complacency. He determined to make his people sing. To this end he instituted, with Gauntlett’s co-operation, the psalmody-class which became famous and is still remembered with pride in Congregationalism. It was copied in many other places, and it represented nineteenth-century Nonconformist worship very strikingly. Free-Churchmen were always singers; John Calvin himself is seen at his most humane in his Genevan Psalters. But Free-Churchmen always tended to distrust choirs; until comparatively recently the choir in a Free Church has been there simply to lead the singing of the congregation, and scarcely at all to perform on its own. During the last fifty years this has altered considerably, of course; but in Gauntlett’s time it was certainly the rule. The people liked singing, but they wanted to sing themselves, and not to let others do it for them. The heartiness of their singing was an indication of the burly high-spirits that characterised a good deal of their piety. This was not a cosy or restful piety; it was certainly not in the current sense “ devotional.” It was the rugged piety of the Puritans dressed according to the fashion of the nineteenth century. The Nonconformist Conscience was vociferous and the Nonconformist preaching was lengthy andstirring. There was comparatively little profundity of devotion in the piety of the ordinary worshipper; but he liked a good tough sermon and he venerated the preachers of such sermons in a fashion which we are beginning nowadays to regard as a historical curiosity. It could be said by way of criticism that in all this there was too little of silence, too little of waiting on the Word, too much clamour and heartiness. It was in any event a piety very far removed from that of the Church of England; and the fact that Nonconformity lacked a good deal of respectability and that certain high offices such as University Professorships were denied to nonconformists, tended to add a certain stridency to its proclamations. This was the atmosphere in which Gauntlett worked. The psalmody-class was a weekly congregational practice. Everybody who could sing a note of music from staff or sol-fa came to it, and there they learnt to sing not only hymns but also anthems in concert. They sang in parts, and no doubt they invented a good deal where they could not follow the composer’s convictions; but the performance of a congregational anthem was to them as important a matter as the singing of the hymns. To further this end, Dr. Allon and Dr. Gauntlett collaborated in producing a hymnal known as The Congregational Psalmist, upon whose musical and theological interest we are tempted to digress at some length. A companion volume of anthems was soon added, and both passed through several editions. Every member of the psalmody-class had a music-copy, and from this they sang their faith. The 1886 edition of The Congregational Psalmist contains 922 hymns and many tunes which put to shame the taste and enterprise of modern Congregationalism. The anthem-book contains some 130 anthems, all set to music of the simple, safe, and unfamiliar kind which so well reflects the piety of the singers. Now we may point a parallel at once here with the piety which we mentioned in our article on Dykes. Altogether different though this was from the atmosphere of the parish church in the country, Union Chapel and the local Anglican church had in common this flight from the unfamiliar. The common speech that we noted in Dykes is here too; a slightly different vocabulary is in use, but the language is the same. Though this piety is strident where that was deprecating, both have the fugitive quality from which no order of Victorian piety (not even, we make bold to say, that of the Salvationist revivalists from America) was exempt. It is therefore in The Congregational Psalmist that the largest selection from the tunes of Gauntlett is to be found; but since this book is unlikely to be in the hands of most of our readers we will not use it for a reference. But from a consideration of his well-known and accessible tunes it will be seen that partly by nature and partly by adoption Gauntlett was the very man to lead the singing at Union Chapel. In his music two tendencies are unmistakable in chief: first, a tendency towards breadth of melody and plainness of harmony at his best; and second an almost invincible gravitation towards the cheap and tedious. It is truly astonishing how dull some of his tunes are. The delicate vulgarities of the worst Dykes are as far from Gauntlett as they are from Martin Shaw. But in his own way he can be quite as satisfying to the destructive modern critic. We may look first at some of his best examples. These are among the best-known of all hymn-tunes. ST. FULBERT (A.M. 189) is perhaps the best known of all among general congregations. There is nothing original in it, but it is as sound a tune as ever came out of the nineteenth century, ST. ALPHEGE (A.M. 225) is of just the same kind. The melody moves without a break, and the tune is in an unpretentious way quite as good as any tune need be. ST. ALBINUS (A.M. 140) remains the universal tune for “Jesus lives!” because it sets the words in their truncated version admirably. It also exemplifies a freedom of rhythm of which Gauntlett was rather fond. The only thing to regret in this tune is that it has displaced the original version of the hymn in 7.8.7.8.7.7., which has so much more grandeur than the “Alleluia” version, and which sings so magnificently to JESU MEINE ZUVERSICHT. (For the version see Cong. Hy. 122, and for the tune S.P. 24). And what child does not know IRBY for “Once in royal David’s city”? This tune will come up again for inspection because of a curious quality in it; but on any reckoning it is a justly famous tune. LAUDATE DOMINUM (A.M. 308) is another most felicitous setting, with the same strong melody and purposeful movement as we have already seen. All these five tunes are to be found in S.P., and it is remarkable that in only one (the last-mentioned) have the editors found it necessary even to revise the harmony. Among his really good tunes we may mention one that is scarcely known at all. We hazard a guess that if he had not called it ST. MAGNUS it would have had a better chance; and that its exclusion from the standard book is by way of being a pedantic protest against his temerity in trespassing on the ground already occupied by the great Jeremiah Clarke. The tune is to be found in Songs of Sion (205) and in Hymns of the Kingdom, and is one of the best quiet C.M’s that were written in the nineteenth century. None of these tunes show the slightest “originality”; there is nothing about them that anyone can call “characteristic.” They have not even the “signature” that we can discern in the tunes of Wesley or Dykes. They are just good, sound tunes. But like Dykes’s NICAEA their secret is that they draw on the common coin of universal hymnody, and they immediately endear themselves to congregations, not in the way in which an impressive public figure makes his impact, but in the way that we associate with a humble and unpretentious but thoroughly reliable friend. Now unpretentiousness and the kindred virtues are among the most difficult to sustain consistently. It is fatally easy for modesty to degenerate into insipidity, and it is this which is the great fault in Gauntlett’s bad tunes. He runs to sentimentality seldom and to blatant vulgarity never. But he can produce, and did too often produce, examples whose musical content is practically nil. What can be said of RISEHOLME (A.M. 275), of in VIAM RECTAM (A.M. 258), of EVERMORE (A.M. 280), or of ONWARD, CHRISTIAN SOLDIERS (391) but that they are just indefensibly dull? Sentimentality creeps in in CRY OF FAITH (A.M. 116), but what defence can there be for so feeble and “tired” a tune as NEWLAND (RvCH 102)? These tunes show nothing so flagrant as chromaticism or violent lapses of taste. But what they do show is precisely the virtue of his better tunes turned sour. In them modesty has indeed become insipidity. Perhaps the best pair of tunes to compare for the purpose of showing how the virtue can so easily fade into the vice is LAUDATE DOMINUM (A.M. 308) and HOUGHTON (RvCH 168). They are in the same metre and the same key and have several phrases in common. And yet whereas LAUDATE DOMINUM is a good melody, with plenty of purpose and no lack of congregational sense, HOUGHTON never rises higher than the second class. Where LAUDATE uses development (e.g. in the first line and the last pair) HOUGHTON uses repetition and sequence, LAUDATE has good harmonic movement, but HOUGHTON gives the impression of being key-tied throughout, LAUDATE is unpretentiously good, HOUGHTON unpretentiously weak. One of the symptoms of Gauntlett’s over-anxiety not to be prominent or pretentious is seen in the harmonic scheme of many of his tunes. It is surprising how many of them give the impression of being key-tied, chiefly because they return at the half-way to the tonic. This is, of course, not to be described as an a priori defect in a tune; but it needs careful handling, and it creates a need for an unusually bold melody. (An excellent example of a tune that does this successfully is STRACATHRO; another is FRENCH.) Gauntlett does not usually rise to this need. Consider one of his more successful tunes in this form—ST. GEORGE (A.M. 58). Its phrases are good, and the octave leap between the first and second lines gives it individuality; but every one of its four lines ends on the tonic chord, and the fact that the melody ends on the mediant does not in any way alter the key-tied impression the tune gives. Few of his tunes have such strong melodic character to recommend them, ONWARD CHRISTIAN SOLDIERS (A.M. 391), already mentioned with disapproval, brings us back to the tonic at every fourth line, JESHURUN (M. 68), one of his worst tunes, has a full close at half way. TRIUMPH (RvCH 134), still very popular in the Free Churches, comes to a dead stop two thirds of the way through, making its last two lines inevitably sound like an after- thought. ST. JEROME (Hist. A.M. 432) adds a notably weak melody to a dull harmonic scheme. In fact, in a representative list of 45 of his tunes we have noted 26 that show this early return; of 29 C.M tunes in major keys, fifteen return to the tonic at half way. This is more than an accident; it amounts to a characteristic tendency, and in Gauntlett’s case to a characteristic weakness. We have so far made no mention of the tunes of Gauntlett’s that appear only in the Congregational Psalmist. Most of them add nothing to what had already been said, but special mention might be made of a few. ST. THOMAS, his tune to “Just as I am” (298), in F sharp minor, is excellently suited to the words, MORIAH (135) another tune in the minor mode, is well adapted to “All ye that pass by.” ECCE AGNUS (138) is his setting of “Behold the Lamb” (compare Wesley’s WIGAN and Dykes’s BEHOLD THE LAMB); once again in the minor mode, this tune ends rather unexpectedly on the chord of the dominant; but the Amen puts this right, MALDON (475) stands on, or even beyond, the border-line between hymn-tunes and anthems, being a kind of extended chorale in the tradition of some of the more complicated patterns of Bach; it is not ineffective, but it requires a high G of the sopranos at one point, and has one unfortunate chromaticism in the melody, LAMBETH (587) is another not infelicitous essay in the minor mode, ROGATION (285) finds him experimenting unsuccessfully with modulation, and SILSOE (262) is a good example of Gauntlett in his “tired” mood. These tunes of his in the Congregational Psalmist, of which there are 35, give a good summary of his qualities, and it may be said that he is at his best when he achieves the unpretentious which is also in the best sense “ catholic.” When the inspiration leaves him nothing is left; often the very craftsmanship of his music is seen to be lacking in strength. In conclusion we may mention that tune of his which seems to defy analysis, and seems to exemplify much which we would criticise in Gauntlett, and yet to carry away many well-deserved honours. The tune is IRBY, his incomparable and indivorcible setting of “Once in royal David’s city.” Its melody is known all over the world—and yet there is no more complete example even in his works of the keybound and unenterprising. Every line comes back to the tonic except one which ends on the mediant. There is no hope, whatever you do with the harmonies, of disguising this. And yet the curve of the melodic phrase itself, the judicious placing of the passing- notes, and the unanalysable but undeniable fact that at this moment the inspiration was upon its composer, make this a tune which none of us could do without. It is essentially intimate and on the small scale; and in the unison version with a very simple accompaniment in E.H. (which follows fairly well Gauntlett’s first version) this is the effect given. How different the effect when it is sung as a stately processional at King’s College. Here, with the melody moving very slowly, there is plenty of time for due weight to be given to each note, and for a few touches of harmonic variety which all help the tune to achieve a breadth of which its composer probably never dreamed. (The ingenuity of the harmony and of the movement of the bass in the opening lines should not be missed.) 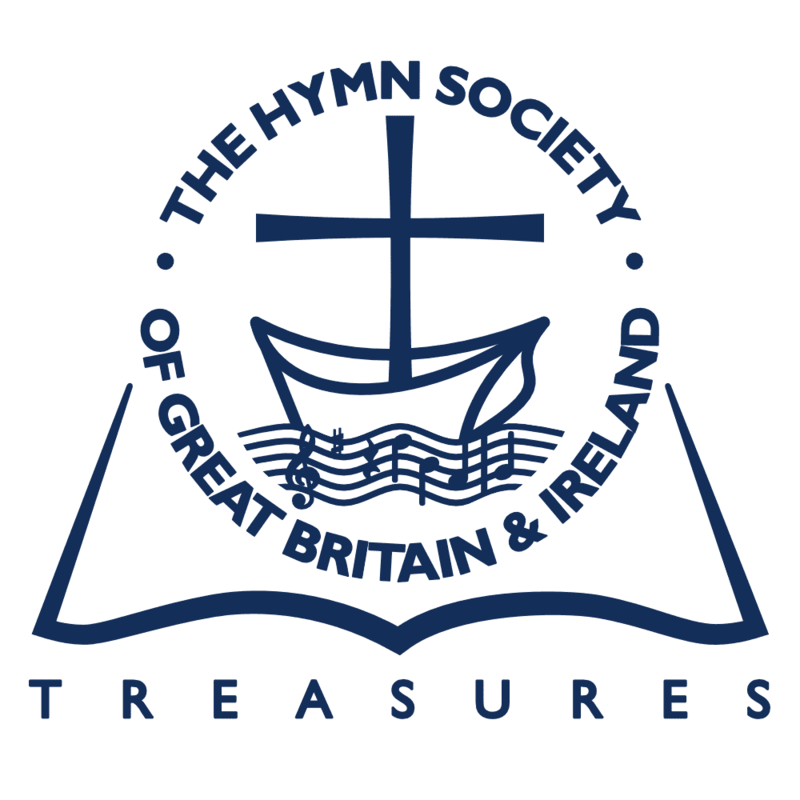 In sum, it is a thoroughly agreeable, unashamedly sentimental tune inseparable from English hymnody; a tune which contains more music than its composer suspected; and one which (unlike most of its contemporaries) can be called sentimental with no intention to insult it This is the kind of greatness which is occasionally “thrust upon” a composer, that what he has written becomes, through a new interpretation, a means of grace in a way which he never intended but of which he would have been delighted to hear. Something of the same happened to Dykes in the case of NICAEA (see our previous article), which he never heard sung maestoso in D major, but which, so interpreted, places him among the immortals. Like all his contemporaries, Gauntlett wrote many pot-boilers; since he is said to have written in all ten thousand tunes this is not surprising; but at his best he was strong enough to achieve a representation of five tunes in E.H. and to carry his tunes into every hymn-book and one, at least, into every home.